Hedgehog Fibres Merino DK is custom dyed for us by Hedgehog. It a soft, smooth, non-scratchy DK weight yarn of 100% Super wash Merino Wool. It has a tight twist ad round profile. Great all purpose yarn, next to the skin soft, wonderful stitch definition. Ideal for sweaters, scarves, hats, anything you can think of and oh the colours are so great. As with all hand dyed yarn there may be some variation between skeins. There are no dyelots as they are dyed in small batches. I we ship to you we try to pick skeins that are the most similar. If there is a wide variance we will contact you to discuss whether this will work for you. 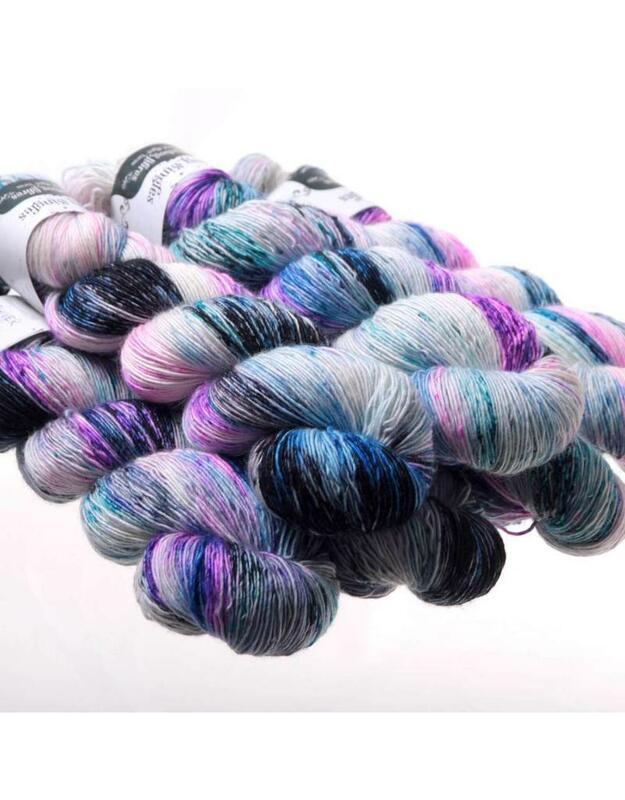 We alway recommend alternating skeins or at least not making sudden changes in skeins when knitting with hand dyed yarns.